Strawberry Candy by Mad Hatter Juice is a nic-salt-infused fruit candy extravaganza, packed with sweet strawberry candy flavor for a sugary, fruity vape. The candy-store-inspired flavor of Mad Hatter's Strawberry Candy is backed up by a nicotine salt formula for a smooth and satisfying inhale every time. 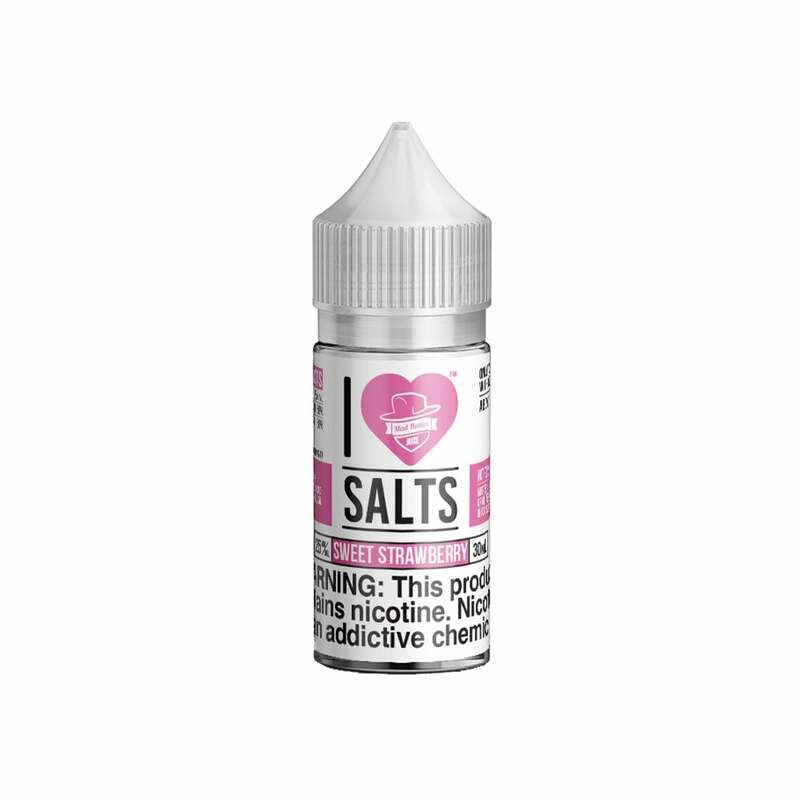 This vape juice is from the Mad Hatter Juice nicotine salt range, and is available in two different nicotine strengths: 25mg (2.5%) and 50mg (5%). Vaping nic salts is much smoother than vaping high strengths of standard freebase nicotine, and provides a quick and satisfying rush. This Mad Hatter juice comes in a 30ml bottle. Great flavor I was really impressed. I really like this one. Tastes nice. Big fluffy clouds too. So Yummy!! I Truly Enjoy This Flavor! Not my favorite but it's where I started at on the nic juice, taste like a jolly rancher would buy again but I love the blue raspberry by mad hatter, now that one is probably the best blueberry taste I've had in a while. This is my new favorite salt nic juice. I'll be buying it again for sure. This Strawberry Candy Vape Juice is awesome! It is like nothing else I have found in local stores. The flavor is fantastic, and it is so potent. The nicotine salt is way more satisfying than the free base. It is also great to be able to order with such a variety in nicotine levels. Pretty basic not the best stuff ever but not terrible either.